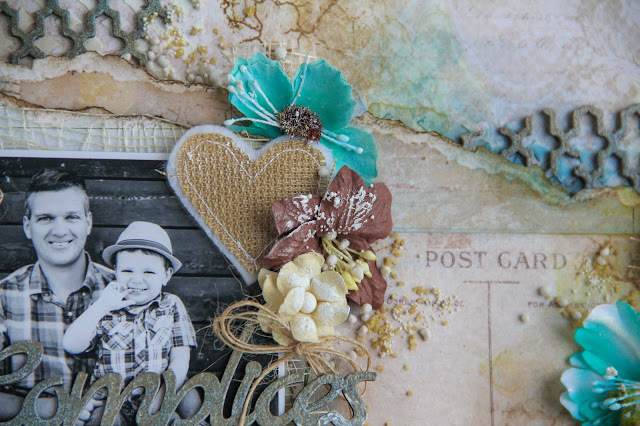 For my last layout, I started with the Nature's Novel paper. I love the earth tones of this one. 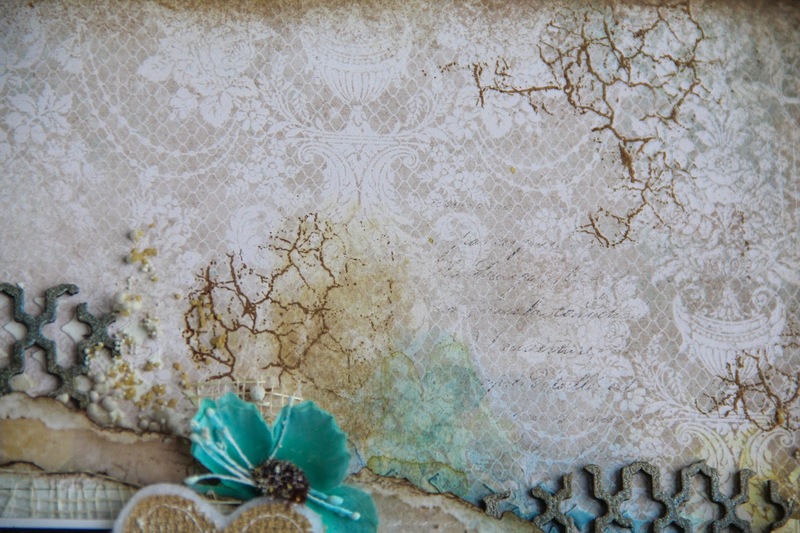 I used my new favorite stamp: the Crackle Texture stamp, here and there, on the background. A few shades of ink (aqua, brown and yellow) here and there, and background was done. 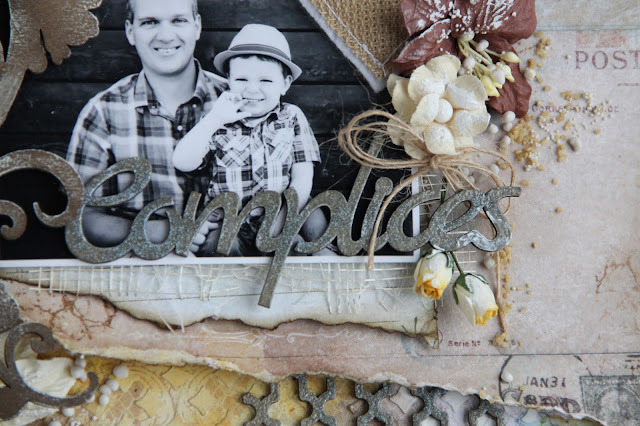 I had this idea of a torn band of paper going diagonally on my layout. I used the Photographic Record paper to do so. I tucked some pieces of the Turkish Bits chipboards set behind the paper, to add interest. 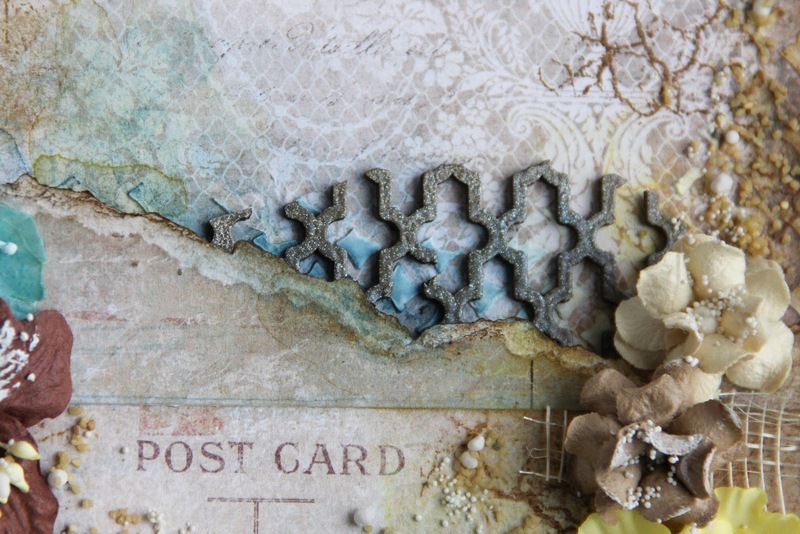 I embossed the chipboards with Mushroom Imagine Ink embossing powder and while it was still hot, I sprinkled some Sand & Sea Imagine Ink embossing powder over it. I believe this powder will quickly become my favorite! 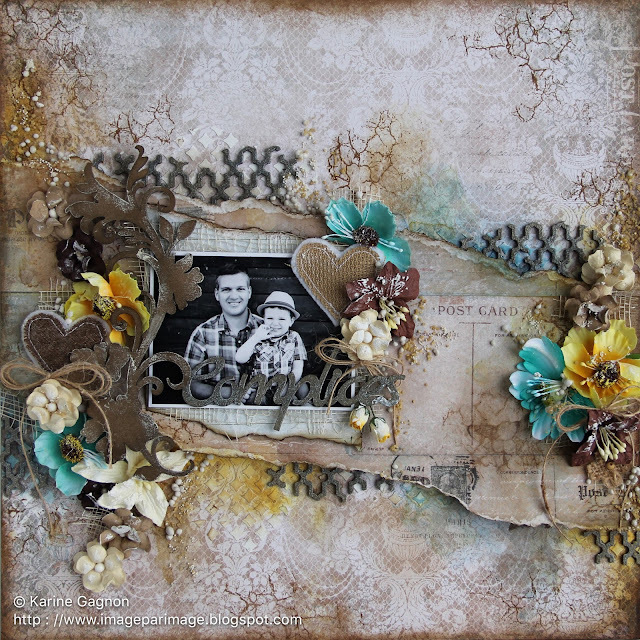 For my main embellishment cluster, I chose the Seaside Flourish chipboard, which I cut apart to keep just the flourish and the flowers. 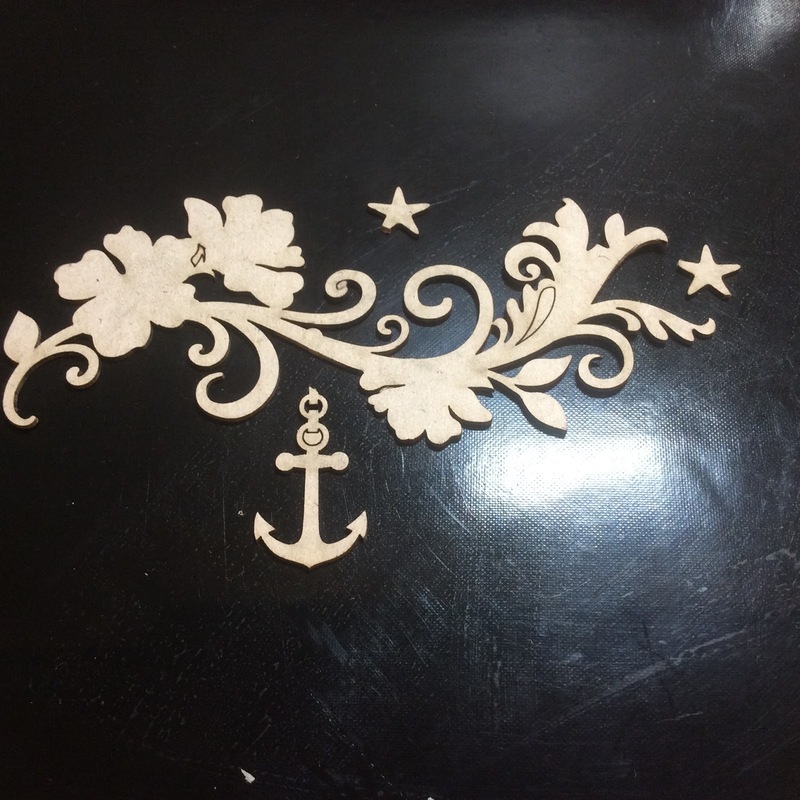 You can see, in the picture above, How I cut the anchor and the two stars and keeps everything else. I used brown Ink to color this chipboard and then, I dry brushed some white gesso to make it stand out a bit more. 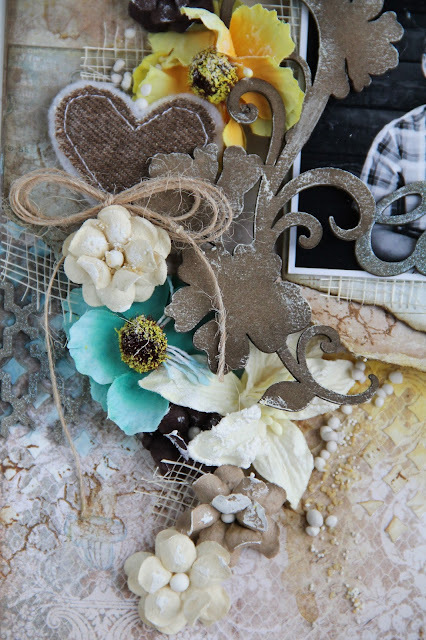 In this cluster, I used a lot of Blue Fern Studios flowers: little Courtship Blooms, some Spring Lilies and, of course, the beautiful Mémoires Blooms. 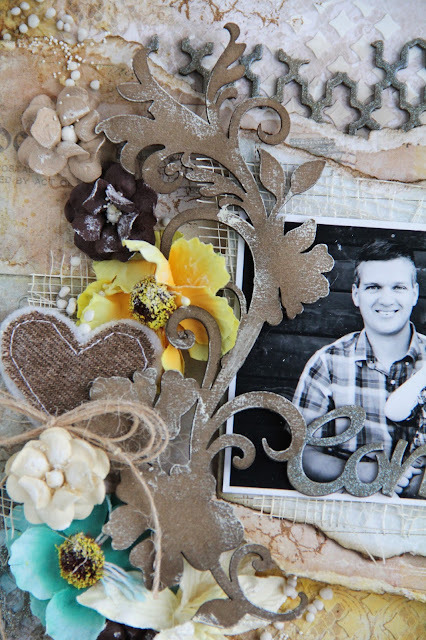 I used those flowers again in the two other clusters I made. I mated my picture with the Calling Cards paper. My title piece comes from the Amis, Ensemble, Complices set. I treated it with the same steps as I did with the other chipboards on this layout. I hope my layouts inspires you to dig in this BEAUTIFUL new collection.